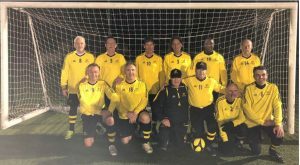 Wakering over 50’s side had an indifferent start in the first round of league matches at Play Colchester on 7 April. Wakering’s first game against Eastwood Falcons (last years runner’s up) ending in a 4-0 rout with goals from Wakering’s Peter Henry, Jim Butterfield, Andy Sharpe and Andy Chambers. 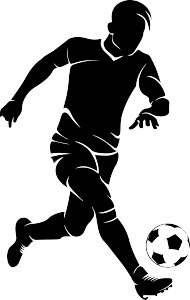 Wakering put out a weakened team for second match against Concorde Rangers which caused Wakering to suffer a surprising 1-0 defeat. Wakering’s third match against Leyton Orient (last year’s champions) ended in a 1-1 draw with a goal from David Hampson. Wakering’s final match against Southend ended in a 4-1 victory with goals from Peter Henry, Jim Butterfield, David Hampson and Andy Sharp. Although it was disappointing to lose to Concorde Rangers we had a reasonable start currently 4th in the league table.